So your dad’s a Yeti and you the tallest - and bluntest! - kid at school. But just because you’re one of the toughest monsters around doesn’t mean you’re also not one of the nicest, and when it comes to making true friends who will stick with you to the end, no one is cooler than you! So share some of that ice-cold realness attitude with the rest of the class with this Abbey Bominable Child Wig! 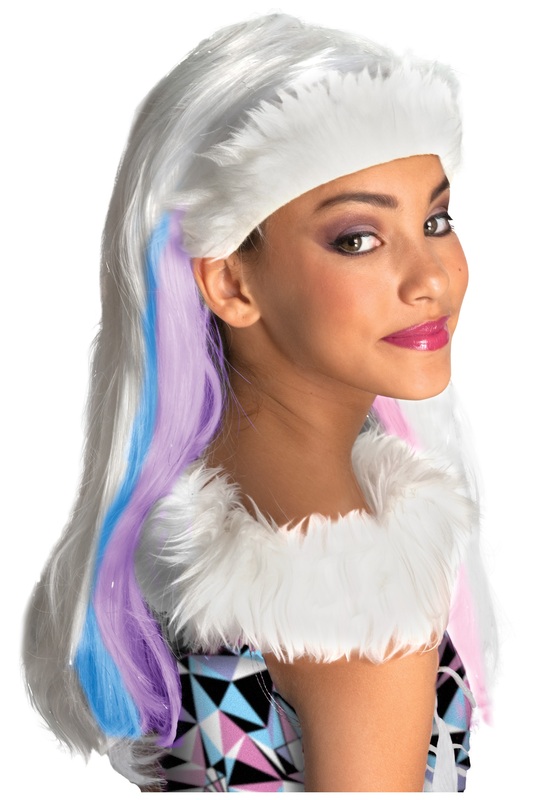 Made of long straight synthetic hair with iridescent strands throughout, it also features blue, purple, and pink streaks underneath, all held together with a stretchy, furry white headband! In this snow-white wig, there’s no contest - you’re sure to be the coolest (quite literally) ghoul this side of Monster High!